The Simply Elegant Chicago team coordinated this incredible shoot and was recently featured on 100 Layer Cake. Now that's reason to celebrate! A glowing sunset and an endless field of native prairie grasses make this scene almost too perfect to believe. Olivia Leigh Photographie captured this lovely day filled with feathers, dream catchers, protea and an incredible sense of calm and connection with the earth. 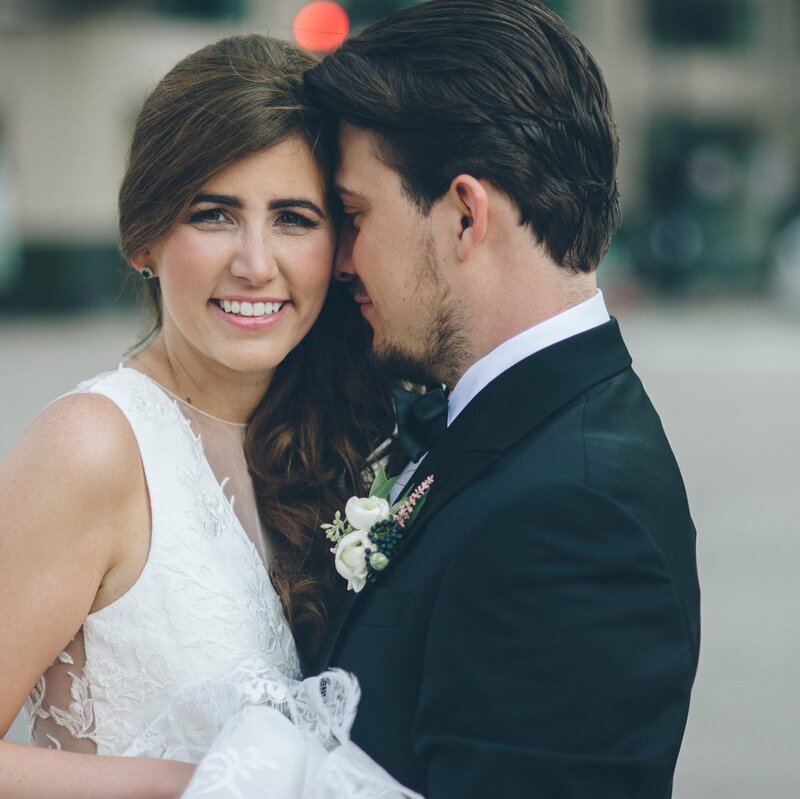 Our beautiful bride is glowing in her elegant white frock, flawlessly accessorized with swept-back soft curls, laurel wreath headpiece and OMG that leather belt! Our boho groom is dressed casually; no tie or jacket and a healthy amount of stubble. Floral designers Petal Play Design absolutely blew us away with these pastel protea. One stem in these vintage glass vessels create a beautiful, intriguing and understated feel perfect for this relaxed bohemian scene. Mix with silver brunia, dusty miller and wild grasses for a bigger bouquet look. Curl up with a blanket around this floor seated table. Note how the rustic wood and antique glass pair perfectly with elegant china and hand-calligraphed placecards by Stacey Shapiro. The personalized touch will make your guests feel special and thought of. Petal Play Design and Violet and Pearl Vintage teamed up to create this incredible ceremony backdrop of rustic branches and dream catchers made of embroidery hoops and one-of-a-kind vintage lace and doilies. Imagine exchanging vows as the prairie grasses and feathers dance in the wind around you. We love the mix of geometric shapes with the soft earthy and organic elements, as reflected in stationary by Sarah Drake Design. That arrow detailing is to die for.